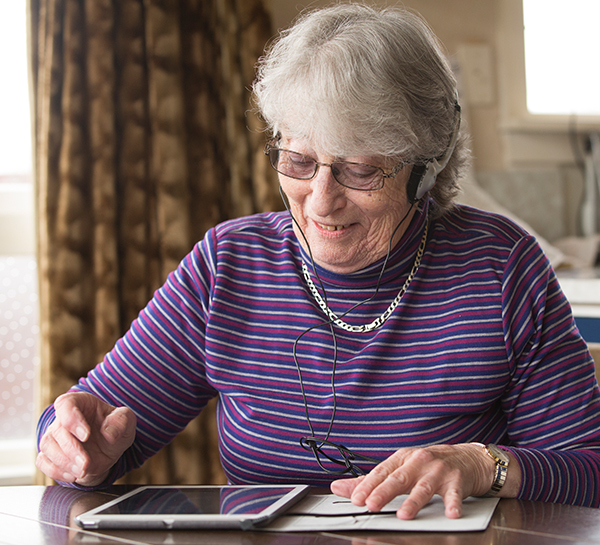 Blind Foundation library service now open to all Kiwis with a print disability. Did you know there are an estimated 168,000 Kiwis living with a print disability? And did you know less than 10% of published information generally available to the community, is also available in a format that people with a print disability can access? The Blind Foundation library has been serving members who are blind or have low vision with books and regular publications in accessible formats for over a century. One of the largest accessible collections in New Zealand, it is one of the Foundation’s most loved services and opens the door to information that might otherwise be unavailable. We are able to reproduce material in accessible formats for people with print disabilities, with thanks to an exception in the Copyright Act. Norman Evans, the Blind Foundation’s National Manager Employment and Accessibility, explains that until recently, our library has only served those who also meet our criteria for other services because of the expense associated with the CD and DAISY player service. “Now that our library collection is available online, it costs us no more to setup access to our online and app library platforms, called ‘BookLink’, for those who qualify. We are really pleased to now be in a position to invite everyone who has a print disability to enjoy our collection through this service,” says Evans. Evans says the Blind Foundation is proud of its library service, particularly in recognition that access to printed information globally remains an ongoing challenge. He explains this is important because barriers to access information also feed into barriers in education, employment, and social inclusion. “The Blind Foundation believes that New Zealanders who are print disabled should be able to access full public library services, and we also believe that every public library should have a comprehensive print disability collection. “At an international level, the Marrakesh Treaty allows for the exchange of accessible content between participating countries which holds much promise for Kiwis. The New Zealand government has committed to joining the treaty, which will greatly increase the availability of accessible information by allowing copies to be shared with other countries who have joined,” says Evans. As for what is next, Evans explains we have some way to go to improve the specialist collections available nationally, and the Blind Foundation has partnered with public libraries to connect services and to test how these can be delivered together. If you or someone you know has a print disability and would like to become a member of the Blind Foundation’s library, please visit our website or call 0800 24 33 33. A health professional’s declaration is required for access. e. suffers a handicap with respect to visual perception.